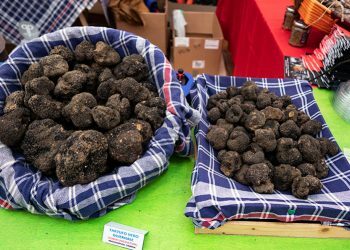 I tasted my first plate of Trofie with Pesto Sauce many years ago when we lived in Milan and had taken a brief trip to Liguria. 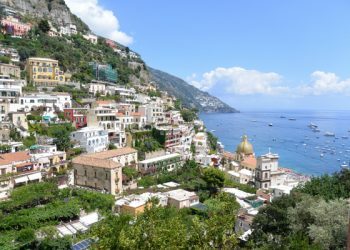 The basil that grows in that area is the most flavorful I’ve ever tasted, and makes a glorious pesto sauce that is delicious on many types of pasta, particularly trofie which are little twists of pasta. 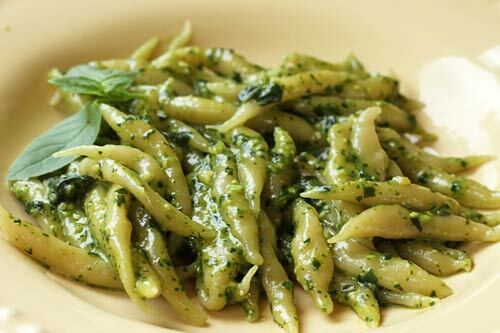 Trofie work really well with pesto sauce as the sauce perfectly coats the pasta giving you a delicious mouthful of sauce and pasta with every bite. 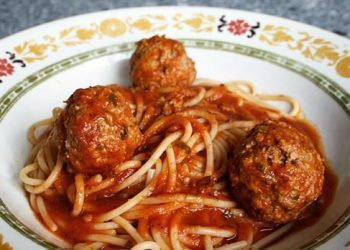 This is one type of pasta that is particularly easy for those new to making pasta at home and requires just three ingredients. 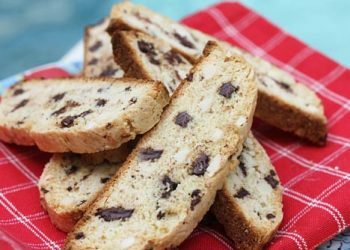 Since trofie is made simply with flour, water, and a little salt it is also a great option for those with egg allergies. 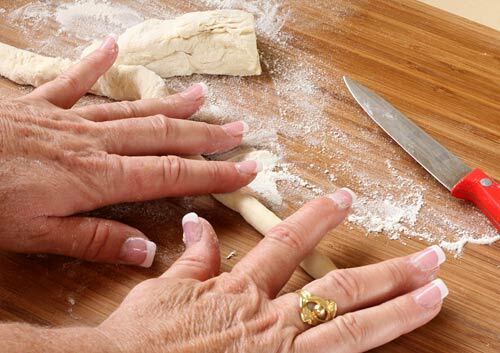 I have read many variations on methods used to shape trofie including rolling little pieces of dough around toothpicks or wooden skewers, but I find the method below that entails rolling the dough between the palms of your hand to be the easiest for me personally. 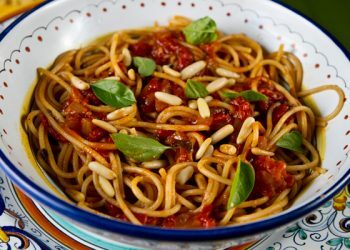 This would be another great pasta that the entire family could get involved in making, or why not invite some friends into your kitchen to help prepare the pasta when you are entertaining? 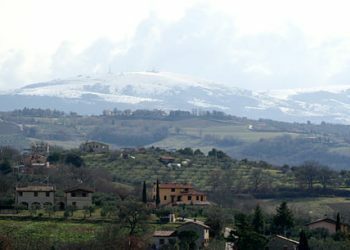 The traditional sauce that I associate with trofie is a creamy Pesto alla Genovese, although a light tomato sauce would be delicious as well. 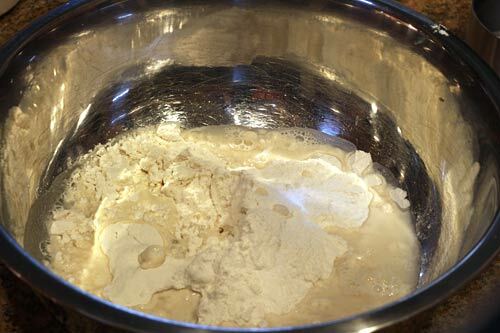 Place the flour and salt in a bowl and add 3/4 cup water to start. 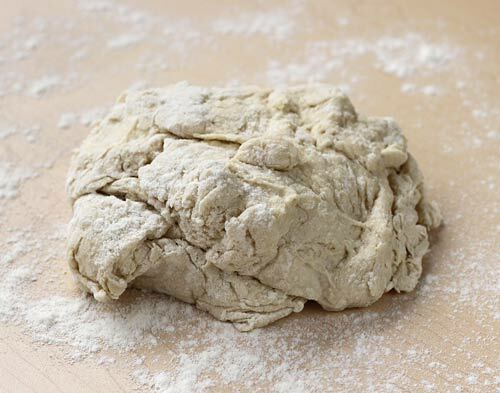 Use a fork and mix together, adding the rest of the water as needed to create a dough. Dump the dough onto a lightly floured surface. 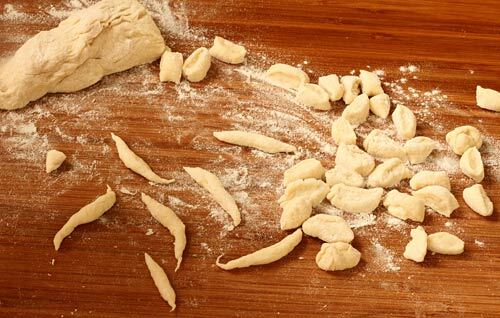 Use your hands and knead the dough, adding a little additional flour as needed until you create a smooth, non-sticky dough. 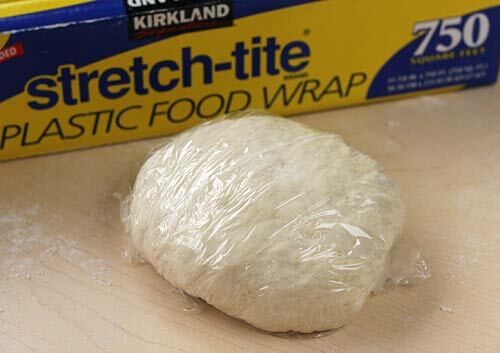 Wrap your dough with plastic wrap and let it rest for at least 30 minutes at room temperature. This step allows the dough to relax and allows it to be shaped much easier than if you began to work with it immediately. Once the dough has rested, break off about 1/4 of the dough keeping the rest wrapped. 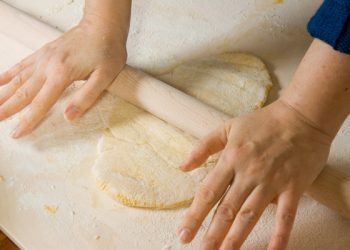 On a lightly floured surface use your hands to roll the dough into a tube about 1/2 to 3/4 of an inch arund. Keep the dough lightly floured to prevent sticking. Use a sharp knife and cut the tube into 1/4 of an inch little pillows. Sprinkle the pillows with flour. To shape the trofie, take a lightly floured piece of dough and rub it briskly between the palms of your hands to create a little tube with tapered ends. You only need to rub yur hands back and forth three or four times to create the trofie. 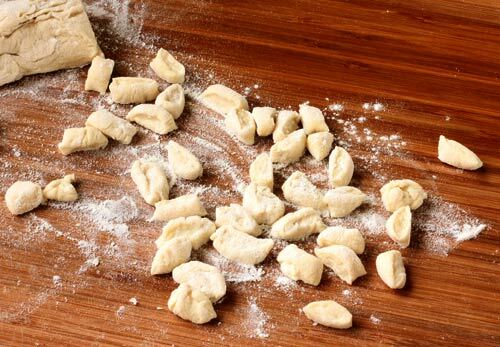 Drop the shaped dough onto a lightly floured board. The shaped trofie next to the little pillows. Lightly flour a baking sheet, and lay the prepared trofie on the pan. Use within a two hour period or refrigerate until ready to use. 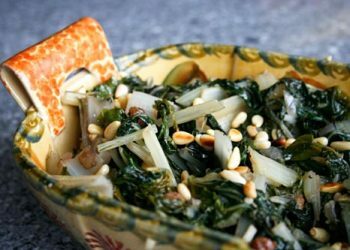 Traditionally, Pesto alla Genovese is used to top trofie pasta. When ready to cook, bring a large pot of salted water to a boil, and drop in all the trofie. 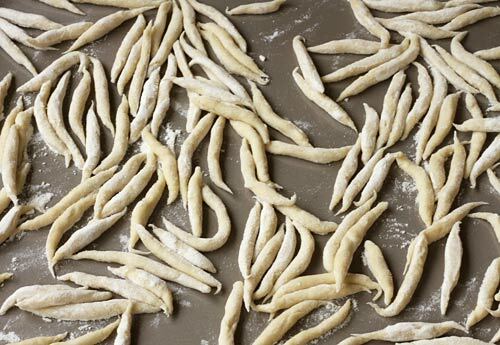 If cooked within an hour of preparing the trofie they will only take a few minutes to cook “al dente”. Once cooked, retain a small cup of pasta water and drain the trofie. Add a large scoop of pesto sauce, and dilute it with a little pasta water if needed to coat the pasta. Serve hot topped with additional grated Parmesan cheese. 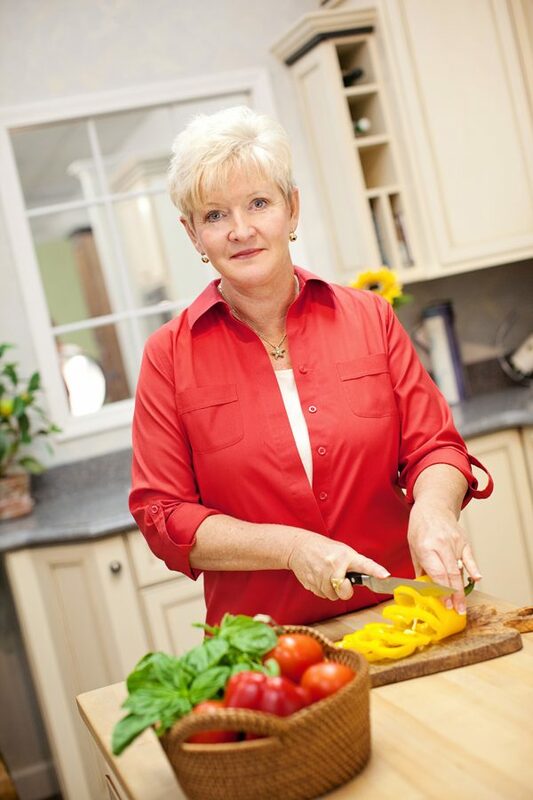 So nice to see interest in preserving the art of pasta making from scratch. 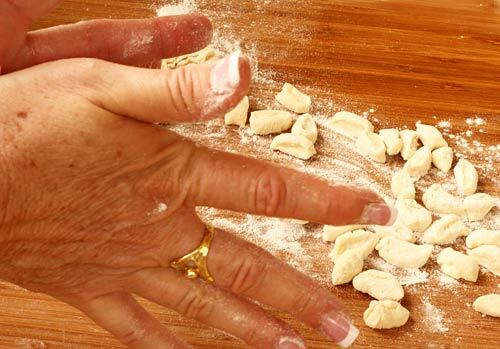 I had to be married 25 years before I received the family pasta recipe for ravioli. We make it now every Christmas and freeze to enjoy through the year. 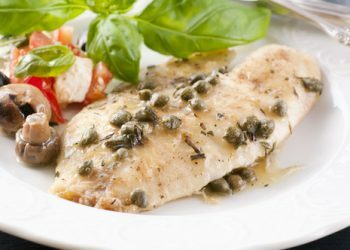 Love your pesto recipe too. Will be trying that this Summer with herbs from my garden. Thanks for sharing! I remember making Trofie (we called it something a little different, more like Trofia) when I was young. 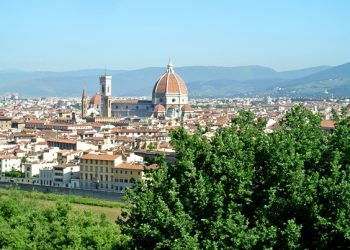 My Grandparents were from Genoa. Gram would make it from scratch every Christmas. Her recipe is a little different from this one. She used chestnut flour in with the white flour about half and half. I can remember her relatives would mail us the flour. We made squares about ¾ of an inch and then curled them with our fingertips, to make like a shell shape. The pesto was made with parsley vice basil, as I believe basil was hard to find or too expensive. We never used pine nuts as they were way too expensive. But lots of garlic. 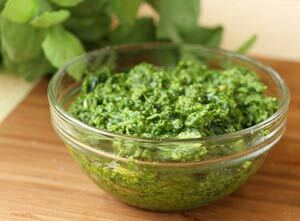 But the pesto looks like this picture. We thinned the pesto a little with the broth from the cooked noodles. We also made a ravioli from scratch. We called the filling, Impensa. It was made with spinach and 2 types of cheeses. We also stuffed the turkey with it. Ah, good food. I made this! 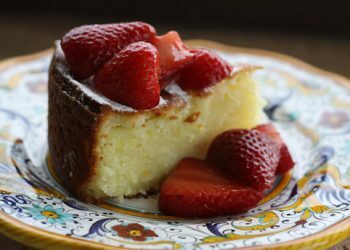 A great recipe, thank you!